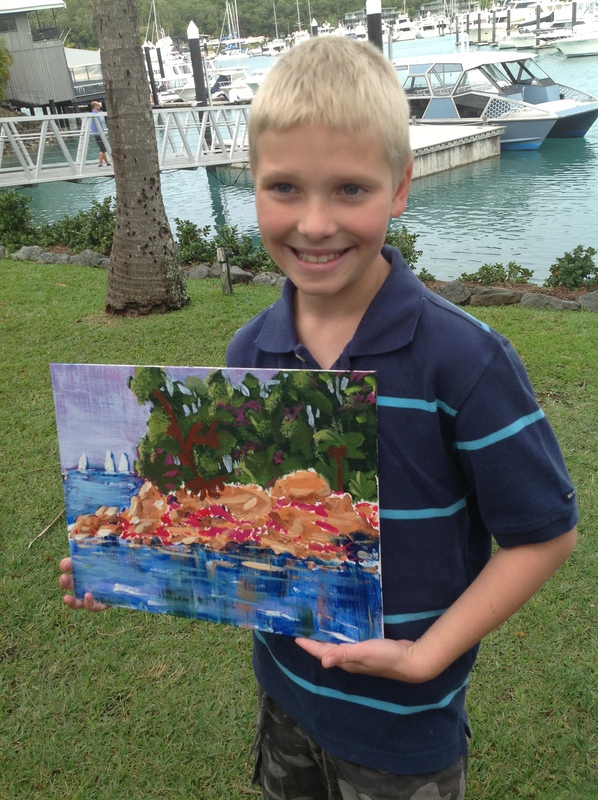 This boy was a stand out student at my Hamilton Island children’s art classes. Here he is standing with his finished painting in front of the Hamilton Marina. He has a promising creative future I’m sure. Over the 2 weeks I taught over 100 students both children and adults and enjoyed the warm winter weather of Northern Queensland. This entry was posted on Friday, September 13th, 2013 at 12:29 am	and posted in art classes, artist residency. You can follow any responses to this entry through the RSS 2.0 feed.